Days after December… | Contemplating my Navel! The Christmas rush has subsided. We’ve been to Newcastle, Manchester and had the in-laws for Christmas. A lovely week and a bit. Now to relax! Emmie decided to fall off a bridge yesterday and we spent a few hours in hospital waiting to get her checked out. The main event was beat the fox! 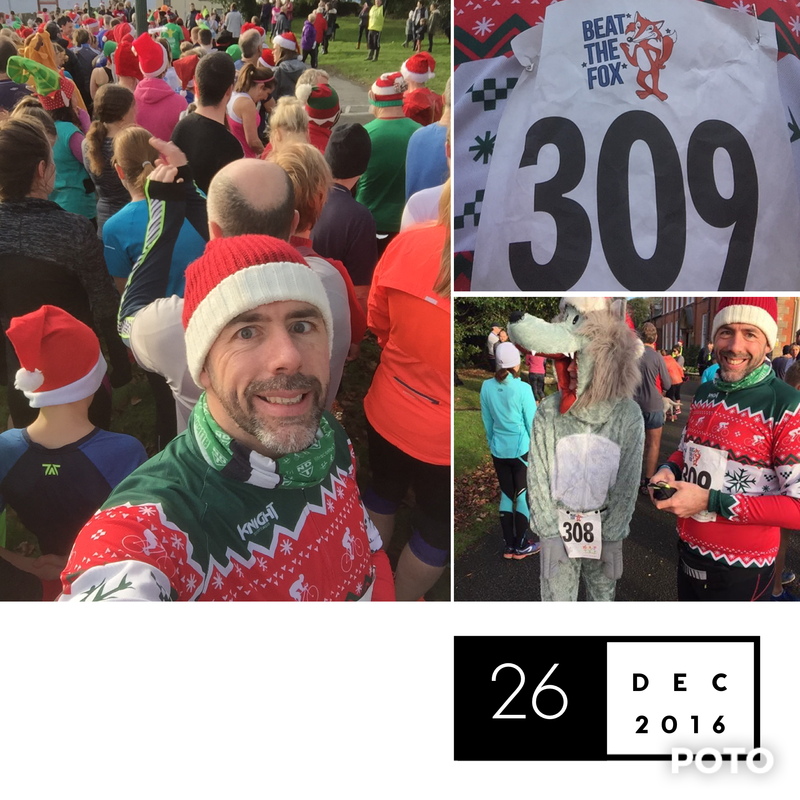 A great little 5k run on Boxing day. Quite a cheeky effort, especially with the rather dodgy nutrition going on at present! Now to see how I can get a run or two in with some biking over the next few days. I need to get some biking in too. Parkrun will be two in a row over NYD and NYE. So, carefully does it! Keep the tiredness at bay! I’ve put the weights bench together and it just needs tightening up! When I finally get my barbell sorted I’ll be doing cardio and strength training to keep it varied. Might have to work on the endurance in a bit – off to the shops!